This article appeared on the EPF Blog on 17 November 2015. Click here to view it on the EPF site. To recognize civil society innovators who use technology to bridge divided communities, Eurasia Foundation has chosen Nino Nanitashvili from Georgia as the recipient of the 2015 Bill Maynes Fellowship. Ms. Nanitashvili has developed an innovative approach to promoting dialogue between Georgians and Abkhazians — communities that have been separated by conflict for decades — and is a passionate advocate for the use of technology at the local level to advance peacebuilding and improve access to resources for marginalized groups. Growing up in Georgia in the turbulent 1990s, Ms. Nanitashvili dedicated her career to peacebuilding and development through evolving technologies. While Nino began her path in civic engagement and volunteering in her teenage years, she first pursued peacebuilding through tech in 2012 by founding the first technology-oriented professional community in Georgia: Google Developer Group (GDG) Tbilisi. After joining the NGO Elva in 2014, Nino directed the project “Building Peace Through Online Gaming,” supported by the EU-UNDP Initiative COBERM. Through the project, Nino helped connect Georgian and Abkhaz youth, long separated by conflict. One video game developed in the project, Peace Park, has been downloaded over 10,000 times and has achieved international recognition for its originality and broad reach. Ms. Nanitashvili is now the Lead Advisor in the South Caucasus at Elva, where she leads a new project aimed at bringing STEM education to rural Georgia. Ms. Nanitashvili leads the Women Techmakers Community in Tbilisi, an initiative supported by Google, and serves as a mentor for tech startups and social entrepreneurs in Georgia, in addition to being a Chapter Co-Organizer of Hackernest Georgia. 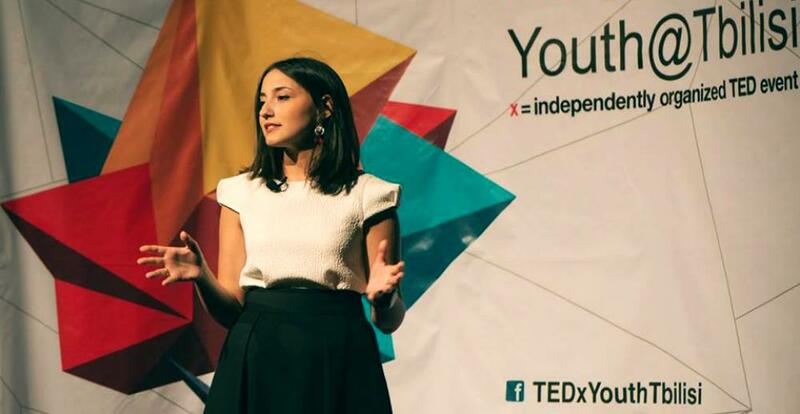 She has spoken on her technology-driven civic initiatives at Google Headquarters, the parliament of Georgia and TEDxYouth@Tbilisi. Ms. Nanitashvili also serves as the head of communications at the International School of Economics at Tbilisi State University. With a background in sociology, Ms. Nanitashvili is currently pursuing a Master’s in Public Policy Administration at Ilia State University and has participated in educational exchange programs in the United States, the Netherlands, Egypt and Cyprus. Eurasia Foundation and the Carnegie Endowment for International Peace are co-hosting a panel to showcase and explore the role of virtual exchange in peacebuilding, where Ms. Nanitashvili will offer insights from her work. Please stay tuned for more information. The Bill Maynes Fellowship offers an opportunity for civil society leaders from the countries where Eurasia Foundation operates to enhance their professional networks and expertise by visiting the U.S. The fellowship goes beyond citizen-to-citizen exchanges to forge meaningful connections between experts and organizations in fields vital to the growth of stable, prosperous societies.